Hickory Van Zandt is the happiest hound in all the land. He was in a bad spot, left at the shelter. But this floppy, friendly 5-year-old, practically bursting with joy, didn't let being dumped by an uncaring owner ruin his happiness. At least he got fed there, and he got to live sheltered from the elements. But it was only temporary and he needed a place to go. What he really wants is real home, a place of comfort and love, with a human to call his own. 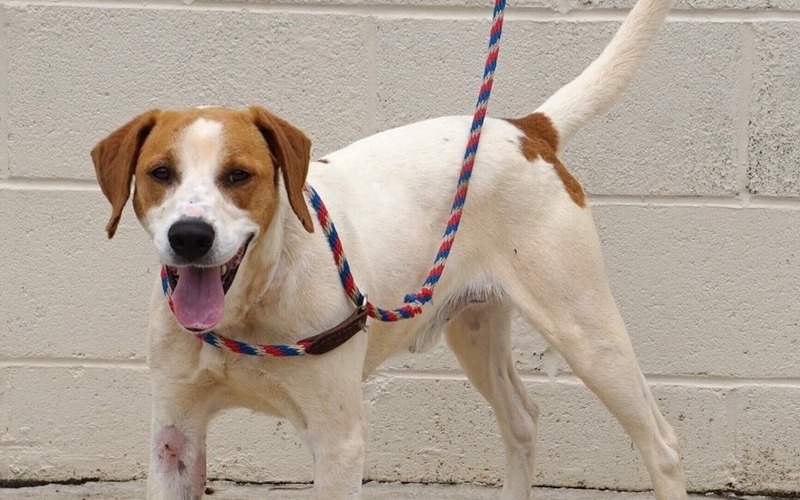 Thanks to Team Dahlonega's Rescue Army and Whispering Pines Animal Rescue, he'll get that chance once he's been treated for those terrible heartworms.